How to fix that URL query params are not working via the web share target API in vuejs pwa? I'm building a new PWA in VueJS and have registered the app as a Share Target in my manifest.json (https://developers.google.com/web/updates/2018/12/web-share-target). Now my code works if I put the query params directly in the URL via the browser address bar (e.g. "/#/page-edit?url=https://google.com/&title=Google&description=SearchEngine"), but it doesn't work if I sent it via the Web Share Target API. I have already tried a range of different manifest settings, but I'm not sure if my manifest settings are wrong or my code (e.g., tried both method "GET" and "POST", etc). 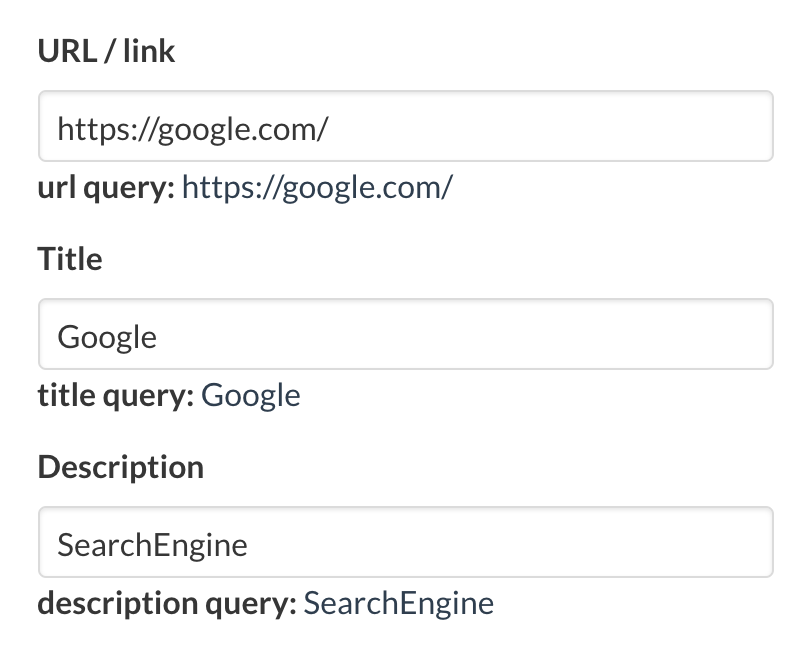 So what I would expect is that the query params can also be read if shared via the Web Share Target API, but at this point, it doesn't show anything this way. But good to mention again, it does all work if I simply change the query params in the browser address bar (that's also why I'm confused). I.e. it puts the query params in the wrong position? Not the answer you're looking for? Browse other questions tagged vue.js share progressive-web-apps or ask your own question. Does PWA share web-push subscription with the browser? How to detect availability of the Web Share Target API? How to detect the user comes back to a page rather than starts browsing it?